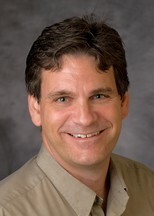 John Schaubroeck, John A. Hannah Distinguished Professor of psychology and management. The study, which surveyed Army troops fighting in Iraq, could have implications for police officers, firefighters and others who regularly deal with traumatic events such as death. Training these first-responders to think in less catastrophic terms could help them better cope with distressing events and function more effectively in the long term, said MSU’s John Schaubroeck, lead researcher on the project. The study will be published in the January issue of the Journal of Occupational Health Psychology. The study was based on a survey of 648 soldiers in nine combat units fighting in Iraq in 2004. This was about 15 months after the end of major combat operations were declared, but during a period of heavy fighting against insurgents in particular areas. The information was collected in Iraq by Lt. Col. Everett Spain, an Army officer and then instructor and assistant professor at the United States Military Academy. Many researchers have studied the psychological effects of combat after the fact, but this appears to be the first study to scientifically investigate resilience during wartime. The study analyzed traits including hopefulness, optimism and ego resilience, which basically means how well a person maintains psychological well-being during difficult times. On a practical note, Schaubroeck said leaders can play a crucial role in shaping a message of hope and optimism. It’s especially important to target individuals experiencing trauma for the first time. If a rookie police officer witnesses a colleague get killed, for example, the officer needs to understand that an emotionally-charged reaction is normal, Schaubroeck said. Schaubroeck’s co-researchers include Ann Chunyan Peng from MSU and Laura Riolli from California State University-Sacramento.